"There is no place like Nebraska, dear old Nebraska U, where the girls are the fairest, the boys are the squarest, of any school that I knew." Many people may not know those words, but anyone who has had even a mild interest in college football over the last 50 years will know the tune that goes with those words. On Saturdays for 4 months out of the year Lincoln, Nebraska is not only the 2nd largest city in Nebraska, but also the 3rd largest city. Huh? 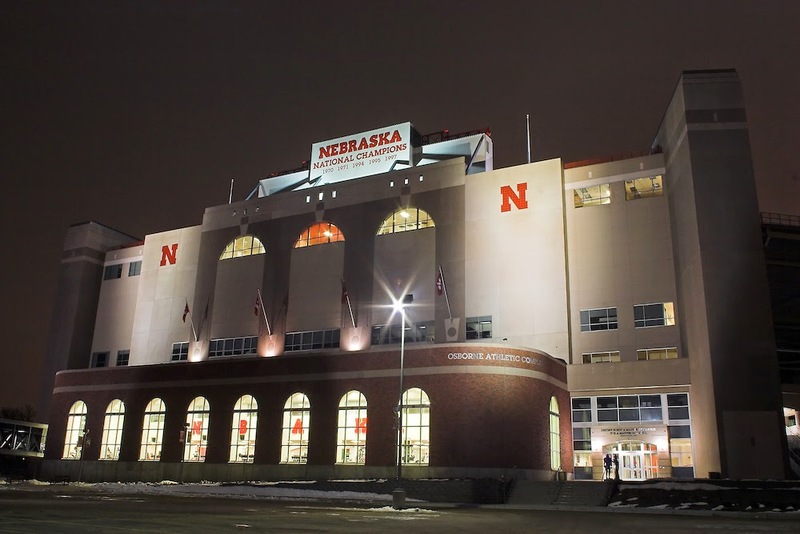 Yes on football Saturdays, Memorial Stadium in Lincoln (see picture above) fills up with more folks than any city in the state outside of Lincoln and Omaha. And on those Saturdays you will understand why the people of this state believe there is no place like Nebraska. Lincoln as a city though has much more to offer than football (as a Badgers fan they haven't offered up much football lately though...oh zing...I kid because I love). It's the capital city of the great state and is the home of the University of Nebraska (yes not just the football team). The university is a member of the Big 10, which not only means a large student population, but also plenty of research dollars which in turn means people coming in from all corners of the globe to cure diseases and make crops yield more, well, crops. Being home to a large university also means that Lincoln is home to some great museums and places to have a few drinks. And as the brewing revolution has revved up in the Heartland, it was a no-brainer that Lincoln (college town) would get in on the action (lots of alcohol consumed in a college town). As luck would have it, we slipped in to Lincoln recently and were able to hit the cities newest brewery, Ploughshare Brewing Company. Ploughshare Brewing Company was opened in July of last year by owner and head brew master Matt Stinchfield. When the doors opened, guests were treated to great locally sourced food and local craft beer, from other breweries, as the brewery operation was still a few months away from being fully operational. The tap room itself was fully functional though. The room itself was adorned floor to ceiling with wood that had been reclaimed from a true Nebraska homestead barn from the 1800's. Wait, homestead? 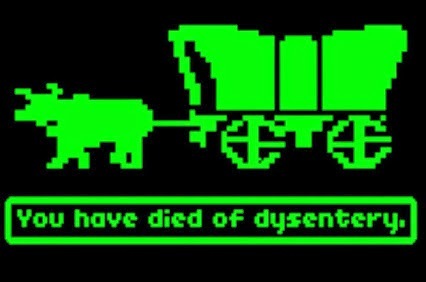 Isn't that like the Oregon Trail? Sort of, but what it makes for is a real pleasing room with Bavarian flags added in to melt ancestral German hearts like my own. It's the first thing that pops into my head when I hear "Homestead"
We popped into the Ploughshare tap room on a cold March evening for, you guessed it, a warm up. Travel tip- there isn't much resistance from Arctic or Rocky Mountain winds in Nebraska so winter may not be the best time to visit. Spring and fall are great. As luck would have it we were lucky enough to be in the tap room on a night with live music as well (check out the Ploughshare Facebook Page for event announcements because nothing goes better with a good beer than some solid live music). Before we dove into some of Ploughshare's finest, I took a quick peek into the brew house itself. One of the great things about local breweries is that none of them look the same. Every brewer has their own set up that works for them and Ploughshare was no different. One thing that struck me about their setup was that it was very bright and clean (which is reassuring when you're about to taste something that comes out of that room). Stainless steel kettles (no copper, but as noted before the cost of importing copper just doesn't work for small breweries) all lined up for brewing and cask barrels stacked for aging made for an impressive room. There was obviously a lot of thought and care put into the entire operation, from reclaimed wood in the tap room to the design of the brewing operation itself, which made me pretty excited to dive into a few beers. On the night that we stopped into Ploughshare there were 8 house taps and 4 visiting taps from some of the other local craft breweries. Craft beer note- Isn't it nice that instead of taking shots at other breweries, most local craft brewers not only collaborate but also share tap lines at each others breweries. Refreshing! My first choice was the Smithy's Oatmeal Stout. The stout was hard to describe, not in a bad way at all, but it had a combination of stout flavors. Smithy's had a little spice up front, like an imperial stout but without the burnt aftertaste of chewed cigarette that you can get with some imperials. That burnt flavor was replaced hints of chocolate and coffee like a cream stout, almost like a porter. There was plenty of hop kick as well which put Smithy's Oatmeal Stout in almost it's own category of stout. It was excellent and a great start to this cold evening. After I finished my stout I moved on to a beer that I don't see in most places and varies in style and flavor from the people who do brew it , the infamous Grand Cru. By definition, a Grand Cru means something along the lines of "great harvest", or in brewing terms an exceptional batch of brew. Many times a Grand Cru is a higher octane regular brew from a brewery. At Ploughshare, the Grand Cru was a Belgian amber style ale. I cannot express how smooth the Ploughshare Grand Cru was. Unlike an American amber, the Belgian amber has much less bitterness from the hops and much more aroma with a hint of spice. With the kick starter, Ploughshare's Grand Cru had a great alcohol kick to it as well, but because of it's easy drinkability you would have never known you were drinking an 8% plus alcohol beer. Cream Ale-"Drink me" Stout- "No, drink me" Me- "Don't worry, there's time for both"
While at Ploughshare we also sampled the Farm Boy Cream Ale and Tailgate Red (Irish Red Ale). Like the other 2 brews I had, these 2 were very smooth and easy to drink with an abundance of flavor. Many people still get scared away from micro or craft beer because of the misconception of harsh bitterness or over complexity of the beer. The cream ale and red (along with the other flavors we sampled) at Ploughshare shut down those misconceptions from the first sip. Which brought me to the quick conclusion that all the same care and thought put into the character of the brewery, is also put into the beer. Which for me is 2 thumbs way up. Bands, beers, Bavarian flags...a tap room triple play! Like most college towns, Lincoln is a great place to enjoy or relive your youth. 2 distinct area around campus (the Haymarket and "O" Street) are filled with unique bars to enjoy fishbowls with your high tops on (I really had no idea high top tennis shoes were a thing again). But before you hit those bars, you have to make it to "P" street for a few easy drinking, full flavored Ploughshare Brewing beers.